2) if you rolled under the relevant stat, you passed. Injury: varies between -1 to -5. Check with me. Adrenaline: +1 if you're in a life or death situation. This story takes place before Princess Luna?s transformation into Nightmare Moon, but after the defeat of Discord. Though Equestria is thriving, it is still recovering from the rule of Discord, almost a decade ago. The guards work tirelessly to make Equestria safe, but while the various towns are havens, the nights are haunted by many dangerous creatures that make travel between settlements difficult. Many a traveller has lost their life to bears, Manticores or worse. You are a (relatively) normal pony, living your life when one evening a pair of Luna?s Royal Guards find you and insist that you follow them to a meeting with the princess. You do not know why royalty wishes to speak with you, but you?re not really in a position to refuse. 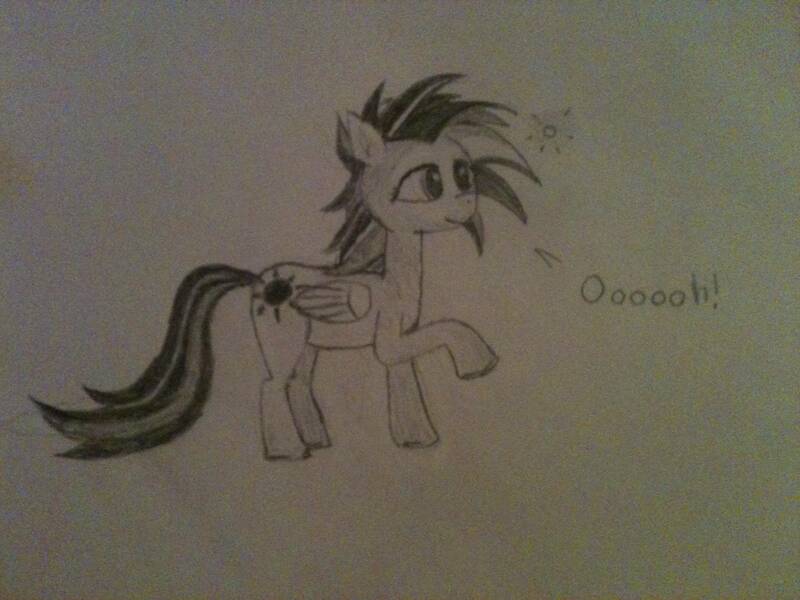 1) This may be My Little Pony based, but it?s a fanmade RP, not the children?s show. Violence is likely and death is possible. Not masses of it, but don?t assume everything will work out in the end. 2) Theoretically we should use flowery Elizabethan English such as ?thee?, ?thou? and other old words. I?m too lazy to do that and I don?t know enough to use the correct grammar, so just talk normally. 3) You can play with the fourth wall and cartoon physics if you want, but none of you are Pinkie Pie. I won?t allow anything useful to come of using cartoon physics or fourth wall powers. They are for comedic purposes only. 4) This is still My Little Pony. There is always a non-violent way of doing things. You just have to find it. 5) No royal guards. Regular town guards are fine, but you do not work directly for the princesses. Step 1: choose your race. 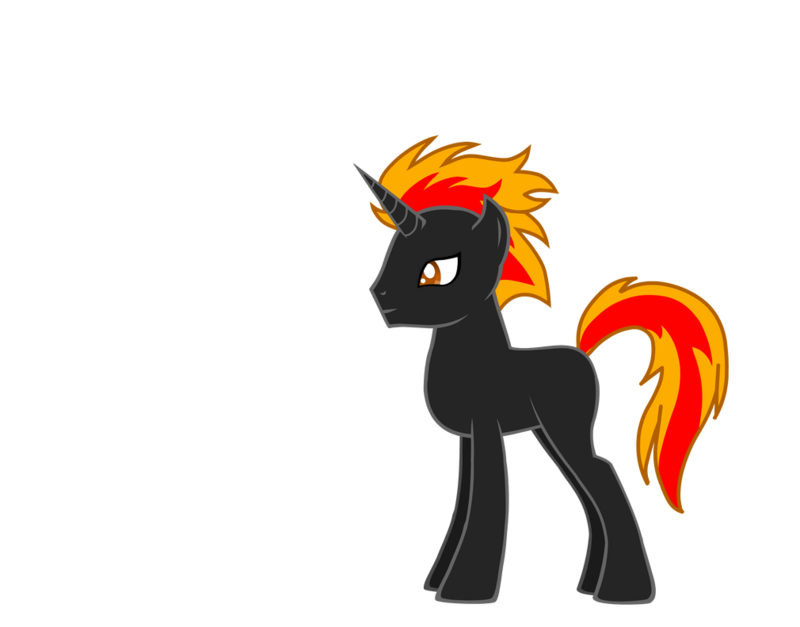 All ponies have their own innate forms of magic and traits. Pick whichever seems most suitable. I don?t really want to see a party made entirely of one race, so there can only be a maximum of two of any race until we have at least one of every race. Unicorn: physically the weakest of the three races, unicorns are capable of directing magic through their horns in the form of spells. Unicorn magic is always used consciously, and tends to have swift acting effects. Unfortunately this means that unicorn magic is usually restricted to spells your character has learned, and complex spells require concentration. 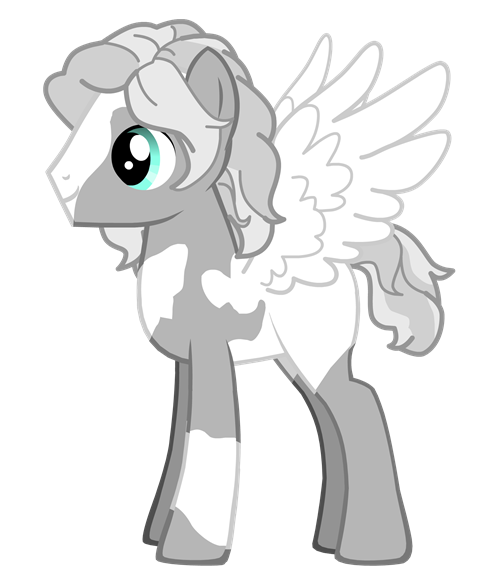 Pegasus: pegasi are usually the fastest ponies, and are often (but by no means always) athletic. Their innate magic means they can fly, walk on clouds and manipulate the weather. 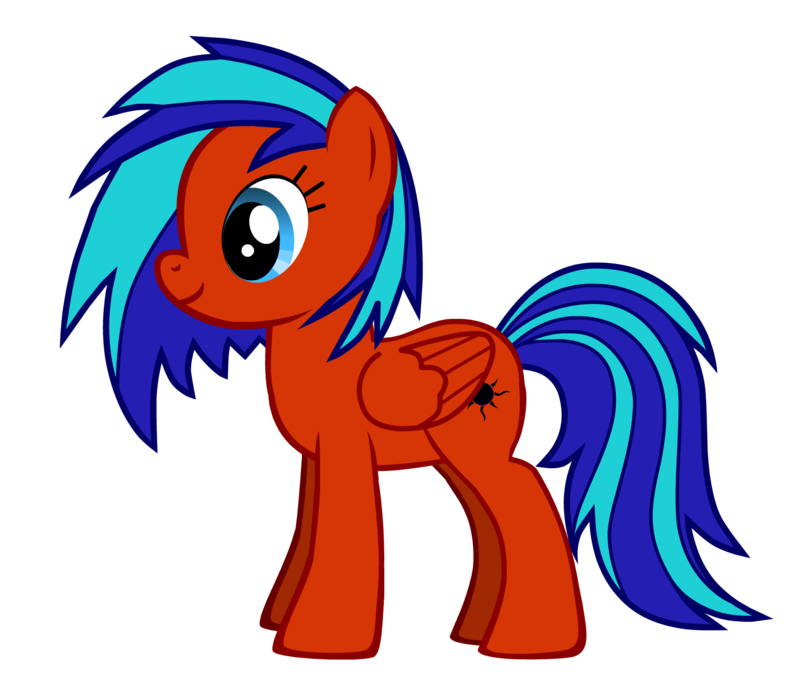 Sometimes pegasi can have additional magic related to their special talents (see the cutie mark section), which usually manifests as various special abilities, such as the sonic rainboom, the ability to walk on water and some others. 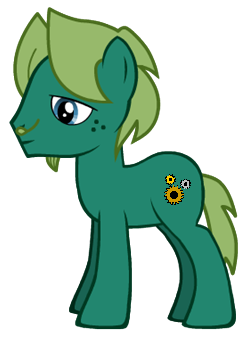 Earth Pony: physically, earth ponies tend to be the strongest and most durable ponies. While some look down on them for their lack of obvious magic, earth ponies actually have just as much magic as the other two races. Earth pony magic is usually subtle, and tends to manifest in a constant effect on the surroundings. 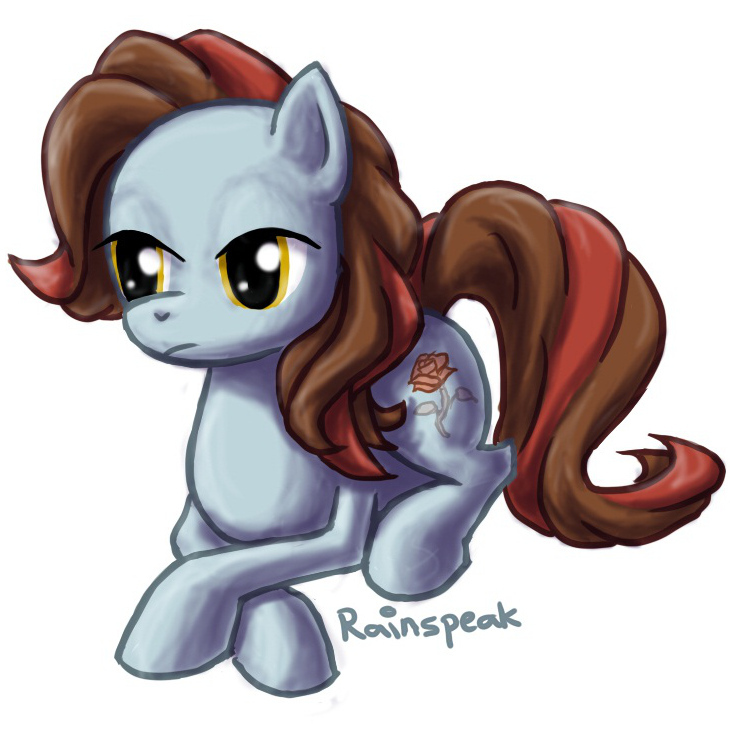 Traditionally, this ability has been related to nature, with plants growing far faster and stronger in the presence of an earth pony, even if said pony is actually doing anything. Earth ponies can also make good doctors, as patients can recover fast around an earth pony with a healing cutie mark. Step 2: choose your stats. There are five stats for your pony. Stats are from one to twenty. Strength (S): The physical strength of your pony. Agility (A): Your pony?s speed and manoeuvrability. Magic Power (M): the effectiveness of your pony?s magic. Affects spells, weather control and the strength of an earth pony?s aura. Intelligence (I): How cunning and quick witted a pony is. Useful for making the most of your special talent. Not used for how much they know, more for how quickly they learn. You automatically have five points in each stat, and you have a total of twenty additional points to allocate as you please. High stats are better. 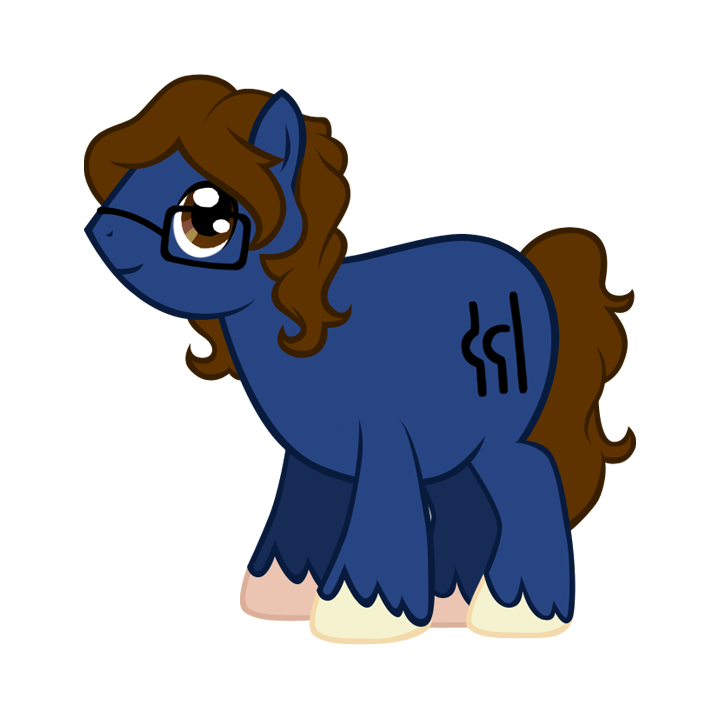 Step 3: choose your cutie mark. Cutie marks represent your pony?s special talent. The vast majority of a pony?s magic comes from their cutie mark, so choose your special talent wisely. Unicorn magic, for example, is limited by their cutie marks as casting spells unrelated to your special talent is usually very challenging. 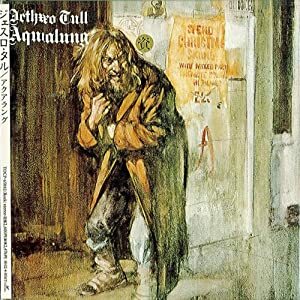 You can get around this by figuring out some kind of connection between you talent and whatever spell you are trying to perform, but the more tenuous the link, the harder the spell. For example, Rarity special talent is fashion. Since she works with gems a lot in her outfits, she is able to cast a gem finding spell. Similarly she could probably enchant clothing, repair fabric or rope, or maybe (at a stretch) cast something similar to a ?Want it, Need it? spell by making something or somepony magically seem more attractive. These spells would get harder to cast the less they had to do with fashion. Step 4: name, description and background. Your character will need a name, a description of their personality and appearance (and preferably a picture. 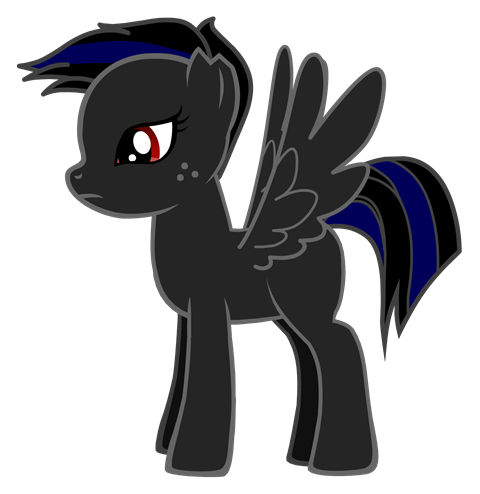 Use pony creator) and a background explaining what they do for a living, what their special talent is and similar. A story describing how they got their cutie mark would be nice too. I've made a technology section in a post below. The rules of this are going to be similar to Rav's RPs, E,TD and E,UD. Post your actions in the RP thread, and I'll determine their success. Some basic actions can be done without my input, such as lighting a fire, but if you have any questions ask me here. You aren't going to have health point per se, but you might suffer injuries such as "bruised", "tired" and "amputated: leg" (avoid that last one). Some injuries can get worse if not attended to, so if your character is "bleeding: 10mins" then that means you will die of blood loss in ten minutes. Stat checks are made by rolling under your stat on a d20, with various modifiers applying. If you succeed then a further d20 is rolled to determine how successful it was. This can mean that the action works, but does nothing useful, or everything goes fine, or that whatever you were doing goes horribly well (tries to move a rock; causes avalanche). Battles and similar situations will be done by the three rounds rapid approach Rav uses. I'll go into detail about that when it comes. I am going to make mana and stamina stats based on your character, but I'm not going to tell you what they are. Instead I'll just give you a vague idea of what you can do before you run out of energy and mana and let you find out what your limits are over the course of the adventure. It sounds cool, but it's my little pony . I was gona say care bears, but they are closer to strawberry shortcake. If I had the time I would give it a try just to try it out and it is a change. Excellent. I was getting worried when I only got one response (I blame Sorck, and by extension FT). Make a character and we'll see who else joins. Don't hesitate to ask questions if there's something I didn't explain well enough. Times? If you mean set set times that I want people to be here, thats not how this will work. I'm not going to say "be on at this time and we'll spend an hour RPing" because that would be too hard to arrange. I'm following a similar method to Ravager Zero in his RPs. You say what you want to say or do and when I see your post I'll work out what hapened. Is it cool if our characters are atypical of those found within the show? A pony who enjoys the thrill of inventing and occasionally creates over complex machines that only he can active/find useful. Is intrigued by the use of lightning as a power source but feels resentful of what he perceives as an unfair advantage that both Pegasi and Unicorns have. It was this resentfulness that inspired him to equal and surpass their magic through the use of technology. At the moment he mainly utilises steam power in order to have his contraptions run (think steam punk pony). While avoiding and often being downright rude to non earth ponies, Patent will freely share his inventions with other earth ponies freely (though of course would like payment through either food or favour). Neat gear: a watch, mini telescope (just 2 bits of glass of different thickness in a tube-i think thats appropriate for time)...would like to add more but am afraid of going past restriction of available tech. Right, here's the deal. Due to the existance of magic, technological advancement is a lot slower than it was for us. As such, not much has changed between this RP and the time of the actual show. Steam powered machines do exist, but they aren't very sophisticated (trains, for example, do exist but there isn't any real railway yet). For small, portable items, I'll have to limit you to very intricate clockwork. I'm sure you can find a use for that, and knowledge of steam powered machines might come in handy on your quest (i.e. I will ensure that everypony is useful, regardless of there special talent. No one should feel obliged to take a classic RP character like a fighter or a thief, but they can if they want and they would come in handy too). 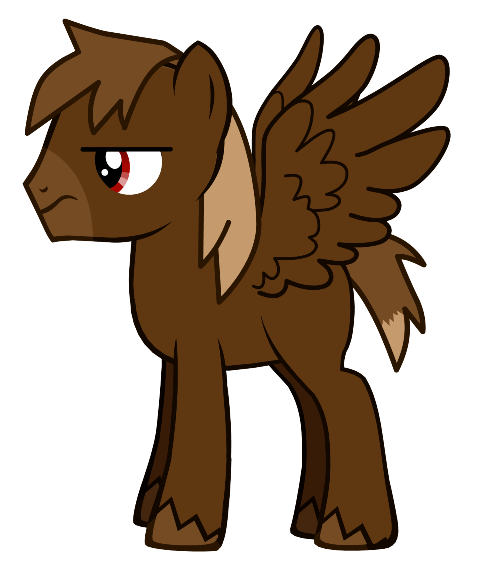 Bow: ordinary shortbow, strapped to a pony's foreleg. A specially made hook is attached to the other foreleg, allowing them to draw back the string and flick their hoof to release. Crossbows are allowed. Sword: remember the way the ponies held those mugs of cider? That's how they can hold a sword, or most other weapons. Wingblades: literally blades that can be worn on a pegasus' wings. Basically check with me first and you'll be fine. Come to think of it, can everyone also post their starting equipment? As long as you don't go overboard in terms of weight and value you can have whatever you want. No negative stats allowed, and I'd prefer it if you used MLP naming conventions. Would you like to be called Patent Pending or just Patent ? Also, a physical description would be nice, or you could use this to make a picture and post it as an attachment. Alright-i'm going to edit my original character rather than do a repost (avoid a double post of large quantity). Equipment: Leather flight suit, wingblades. Equipment: Steel boots, chainmail vest. Cutie mark: The moon in the night sky. Equipment: Wingblades, heavy, spiked steel boots, knife, custom night guard armour (same as regular, plus leather wing protection). Equipment: Crossbow (37 bolts), watch, mini telescope, modified light steel armour. Dang it, is it too late to join this? Minrat is correct. His character needs company. Incidentally, you don't have to all start with weapons. If there's no reason for your character to own a weapon, you can go without. I can assure you that there will be opportunities to get weapons before the first fight, although there might not be much choice (daggers, wing blades, and short swords are most likely).